With a life that spanned times of war and times of peace, times of plenty and times of want, Evelyn Kerr was a blessing to everyone she met. She loved being a mother and took her roles as both a wife and mother to heart, but she just might have argued that becoming a grandmother was her most precious reward. Ebbie was a stranger to none and a friend to all with a door that was always open to all who were near. She was tender and nurturing with a strong and courageous spirit that was an inspiration to those around her. Deeply loved, Ebbie will be forever missed. Life during the 1930s was anything but easy as the Great Depression covered our nation like a wet blanket throughout the entire decade. Jobs were scarce, the unemployment rate soared, and things only became more strained with a drought that covered our nation’s heartland for nearly two years. It was just as 1930 dawned in Detroit, Michigan, that Charlie and Grace (Pullum) Alfrey were pleased to announce the birth of the baby girl they named Evelyn Frances on January 4th. She was the only child born to her parents, and she was the apple of their eye. She was known as Ebbie from the time she was a young girl. To support their family, her father worked as a crane operator at a factory while her mother also worked in a factory. In many ways Ebbie was a young girl of her generation, and she always spoke of her childhood fondly. She enjoyed things like dancing and ice skating, and her mother sewed her beautiful outfits for those activities. Ebbie learned to play the piano and even played at church on occasion. When her parents divorced when she was 11, Ebbie went to live with her Grandma and Grandpa Pullum. Her father later remarried, which brought three half-brothers, Charles, Carl, and Curtis, and two half-sisters, Charlene and Carolyn, into her life. Evelyn had a great relationship with her siblings even though they were several years apart. She attended Cooley High School where she was an attractive and popular girl. Not to be forgotten during her years in high school was Ebbie’s introduction to the man of her dreams. His name was Keith Kerr, and at first she played hard to get. However, they soon became sweethearts and fell deeply in love. 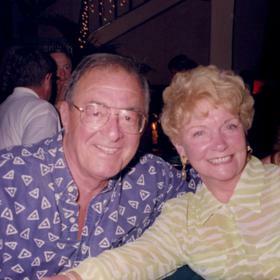 With a desire to spend their lives together, Ebbie and Keith were married on May 17, 1947, shortly after graduating. 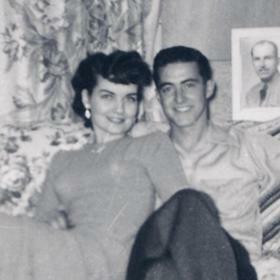 As young newlyweds, Ebbie found secretarial work while Keith worked in construction. In 1954, they moved to Muskegon so Keith could work at his step father’s insurance agency, which he was soon running on his own. Together Keith and Ebbie welcomed their infant son, Kevin, through adoption in 1957. In 1960 their family of four was completed when they adopted their daughter, Mary. They first lived in a home on Elm Street, but they soon moved to a home on Forest Park Road in Norton Shores where Ebbie would live for 40 years. She loved being a mother and was very involved in her children’s lives. There were a winter ski trips and a few family vacations. The family attended Central United Methodist Church where Ebbie taught Sunday school for a time. They also had a pool in their backyard where there was always plenty of activity. Every summer they hosted the kids from the Muskegon Children’s Home. In 1959, Ebbie won the title of Mrs. Muskegon. Throughout her life Ebbie was usually one to be still. She gave haircuts and did styling for family members. Ebbie also volunteered doing hair at Brookhaven Nursing Home. Together she and Keith were a very social couple with a large group of friends. They hosted many parties at their home and others when Evelyn was known to play the piano to entertain everyone. They also took several trips to Puerto Vallarta, Mexico, as well as trips to Europe, Egypt, Hawaii, and a cruise to Alaska among many others. 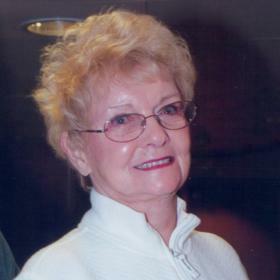 Ebbie was a member of Central United Methodist Church, Elks, and the Muskegon Country Club. She enjoyed shopping, bowling on a league and playing Bridge with her friends. When the children had their own children, Ebbie loved to visit and spend time with her grandchildren, often over the holidays. 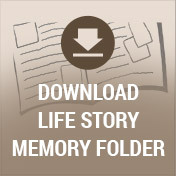 Life was not without times of trial for Ebbie, but she faced whatever came her way head on. Unfortunately, Keith started to develop Alzheimer’s disease later in life, and Ebbie took wonderful care of him until he died in 2014. After his death she remained as active as she could, even making trips to Alabama to visit her sister and taking a trip to a wedding in Florida. Earlier this year she was diagnosed with tongue cancer, and although she fought the disease hard it was a battle that was too difficult to overcome. With unending love for her family and friends, Evelyn “Ebbie” Kerr made the most of the days she was given. She lived to love and nurture others, and she cherished nothing more than being surrounded by her family and friends. Ebbie was someone who enjoyed being on the go, even when the storms of life came her way. Life will never be the same without her here, but she leaves behind a timeless legacy that her loved ones will proudly carry on in her footsteps. Evelyn “Ebbie” Frances Kerr, passed away Saturday, November 18, 2017. 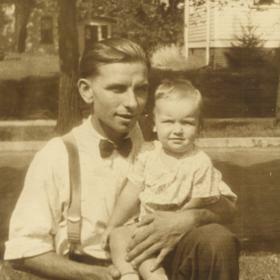 Evelyn’s family includes her son, Kevin Kerr of MS; daughter, Mary Vanocker of Grand Rapids; grandchildren, Courtney (Heath) Whetstone, Keith (Kristen) Kerr II, Amanda (Ernesto) Borge; Brittney Vanocker; great-grandchildren, Brayden, Benjamin, Kendall, Cooper, Xavier, Alessandra, Lola; brothers, Charles (Lydia) Alfrey & Curtis (Erica) Alfrey; sisters, Charlene (Ted) Pakes & Carolyn (Mark) Habiger; many nieces & nephews. 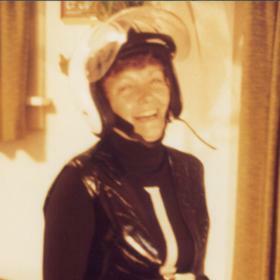 Evelyn was preceded in death by her husband, Keith in 2014. A memorial service will be held on Saturday, November 25, 2017, 3:00 p.m. with visitation one hour prior to the service at the Clock Chapel - Muskegon with Rev. Curtis Freed officiating. In lieu of flowers, please consider giving to the American Cancer Society.